35007001 UH02 HITACHI UH02 Crawler excavator. Spare Parts Catalog. Service (workshop) Manual. Operator's Instruction Manual. 35007002 UH04 HITACHI UH04 Crawler excavator. Spare Parts Catalog. Service (workshop) Manual. Operator's Instruction Manual. 35007003 UH04M HITACHI UH04M Crawler excavator. Spare Parts Catalog. Service (workshop) Manual. Operator's Instruction Manual. 35007004 UH04-2 HITACHI UH04-2 Crawler excavator. Spare Parts Catalog. Service (workshop) Manual. Operator's Instruction Manual. 35007005 UH04-3 HITACHI UH04-3 Crawler excavator. Spare Parts Catalog. Service (workshop) Manual. Operator's Instruction Manual. 35007006 UH04-5 HITACHI UH04-5 Crawler excavator. Spare Parts Catalog. Service (workshop) Manual. Operator's Instruction Manual. 35007007 UH04M-5 HITACHI UH04M-5 Crawler excavator. Spare Parts Catalog. Service (workshop) Manual. Operator's Instruction Manual. 35007008 UH04-7 HITACHI UH04-7 Crawler excavator. Spare Parts Catalog. Service (workshop) Manual. Operator's Instruction Manual. 35007009 UH04M-7 HITACHI UH04M-7 Crawler excavator. Spare Parts Catalog. Service (workshop) Manual. Operator's Instruction Manual. 35007010 UH06-5 HITACHI UH06-5 Crawler excavator. Spare Parts Catalog. Service (workshop) Manual. Operator's Instruction Manual. 35007011 UH07 HITACHI UH07 Crawler excavator. Spare Parts Catalog. Service (workshop) Manual. Operator's Instruction Manual. 35007012 UH07-2 HITACHI UH07-2 Crawler excavator. Spare Parts Catalog. Service (workshop) Manual. Operator's Instruction Manual. 35007013 UH07-3 HITACHI UH07-3 Crawler excavator. Spare Parts Catalog. Service (workshop) Manual. Operator's Instruction Manual. 35007014 UH07LC-5 HITACHI UH07LC-5 Crawler excavator. Spare Parts Catalog. Service (workshop) Manual. Operator's Instruction Manual. 35007015 UH07-5 HITACHI UH07-5 Crawler excavator. Spare Parts Catalog. Service (workshop) Manual. Operator's Instruction Manual. 35007016 UH07LC-7 HITACHI UH07LC-7 Crawler excavator. Spare Parts Catalog. Service (workshop) Manual. Operator's Instruction Manual. 35007017 UH07-7 HITACHI UH07-7 Crawler excavator. Spare Parts Catalog. Service (workshop) Manual. Operator's Instruction Manual. 35007018 UH09 HITACHI UH09 Crawler excavator. Spare Parts Catalog. Service (workshop) Manual. Operator's Instruction Manual. 35007019 UH09-2 HITACHI UH09-2 Crawler excavator. Spare Parts Catalog. Service (workshop) Manual. Operator's Instruction Manual. 35007020 UH09-7 HITACHI UH09-7 Crawler excavator. Spare Parts Catalog. Service (workshop) Manual. Operator's Instruction Manual. 35007021 UH10 HITACHI UH10 Crawler excavator. Spare Parts Catalog. Service (workshop) Manual. Operator's Instruction Manual. 35007022 UH10-2 HITACHI UH10-2 Crawler excavator. Spare Parts Catalog. Service (workshop) Manual. Operator's Instruction Manual. 35007023 UH10-7 HITACHI UH10-7 Crawler excavator. Spare Parts Catalog. Service (workshop) Manual. Operator's Instruction Manual. 35007024 UH12-7 HITACHI UH12-7 Crawler excavator. Spare Parts Catalog. Service (workshop) Manual. Operator's Instruction Manual. 35007025 UH14 HITACHI UH14 Crawler excavator. Spare Parts Catalog. Service (workshop) Manual. Operator's Instruction Manual. 35007026 UH14-2 HITACHI UH14-2 Crawler excavator. Spare Parts Catalog. Service (workshop) Manual. Operator's Instruction Manual. 35007027 UH14D HITACHI UH14D Crawler excavator. Spare Parts Catalog. Service (workshop) Manual. Operator's Instruction Manual. 35007028 UH16 HITACHI UH16 Crawler excavator. Spare Parts Catalog. Service (workshop) Manual. Operator's Instruction Manual. 35007029 UH20 HITACHI UH20 Crawler excavator. Spare Parts Catalog. Service (workshop) Manual. Operator's Instruction Manual. 35007030 UH23 HITACHI UH23 Crawler excavator. Spare Parts Catalog. Service (workshop) Manual. Operator's Instruction Manual. 35007031 UH025 HITACHI UH025 Crawler excavator. Spare Parts Catalog. Service (workshop) Manual. Operator's Instruction Manual. 35007032 UH025M HITACHI UH025M Crawler excavator. Spare Parts Catalog. Service (workshop) Manual. Operator's Instruction Manual. 35007033 UH025-7 HITACHI UH025-7 Crawler excavator. Spare Parts Catalog. Service (workshop) Manual. Operator's Instruction Manual. 35007034 UH025SR-7 HITACHI UH025SR-7 Crawler excavator. Spare Parts Catalog. Service (workshop) Manual. Operator's Instruction Manual. 35007035 UH025SS-7 HITACHI UH025SS-7 Crawler excavator. Spare Parts Catalog. Service (workshop) Manual. Operator's Instruction Manual. 35007036 UH30 HITACHI UH30 Crawler excavator. Spare Parts Catalog. Service (workshop) Manual. Operator's Instruction Manual. 35007037 UH35 HITACHI UH35 Crawler excavator. Spare Parts Catalog. Service (workshop) Manual. Operator's Instruction Manual. 35007038 UH035 HITACHI UH035 Crawler excavator. Spare Parts Catalog. Service (workshop) Manual. Operator's Instruction Manual. 35007039 UH035-7 HITACHI UH035-7 Crawler excavator. Spare Parts Catalog. Service (workshop) Manual. Operator's Instruction Manual. 35007040 UH045 HITACHI UH045 Crawler excavator. Spare Parts Catalog. Service (workshop) Manual. Operator's Instruction Manual. 35007041 UH045-5 HITACHI UH045-5 Crawler excavator. Spare Parts Catalog. Service (workshop) Manual. Operator's Instruction Manual. 35007042 UH045-7 HITACHI UH045-7 Crawler excavator. Spare Parts Catalog. Service (workshop) Manual. Operator's Instruction Manual. 35007043 UH045SS-7 HITACHI UH045SS-7 Crawler excavator. Spare Parts Catalog. Service (workshop) Manual. Operator's Instruction Manual. 35007044 UH50 HITACHI UH50 Crawler excavator. Spare Parts Catalog. Service (workshop) Manual. Operator's Instruction Manual. 35007045 UH055-7 HITACHI UH055-7 Crawler excavator. Spare Parts Catalog. Service (workshop) Manual. Operator's Instruction Manual. 35007046 UH062 HITACHI UH062 Crawler excavator. Spare Parts Catalog. Service (workshop) Manual. Operator's Instruction Manual. 35007047 UH081 HITACHI UH081 Crawler excavator. Spare Parts Catalog. Service (workshop) Manual. Operator's Instruction Manual. 35007048 UH081LC HITACHI UH081LC Crawler excavator. Spare Parts Catalog. Service (workshop) Manual. Operator's Instruction Manual. 35007049 UH082 HITACHI UH082 Crawler excavator. Spare Parts Catalog. Service (workshop) Manual. Operator's Instruction Manual. 35007050 UH082LC HITACHI UH082LC Crawler excavator. Spare Parts Catalog. Service (workshop) Manual. Operator's Instruction Manual. 35007051 UH083 HITACHI UH083 Crawler excavator. Spare Parts Catalog. Service (workshop) Manual. Operator's Instruction Manual. 35007052 UH083LC HITACHI UH083LC Crawler excavator. Spare Parts Catalog. Service (workshop) Manual. Operator's Instruction Manual. 35007053 UH121 HITACHI UH121 Crawler excavator. Spare Parts Catalog. Service (workshop) Manual. Operator's Instruction Manual. 35007054 UH122 HITACHI UH122 Crawler excavator. Spare Parts Catalog. Service (workshop) Manual. Operator's Instruction Manual. 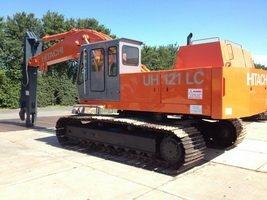 35007055 UH122LC HITACHI UH122LC Crawler excavator. Spare Parts Catalog. Service (workshop) Manual. Operator's Instruction Manual. 35007056 UH123 HITACHI UH123 Crawler excavator. Spare Parts Catalog. Service (workshop) Manual. Operator's Instruction Manual. 35007057 UH171 HITACHI UH171 Crawler excavator. Spare Parts Catalog. Service (workshop) Manual. Operator's Instruction Manual. 35007058 UH171LC HITACHI UH171LC Crawler excavator. Spare Parts Catalog. Service (workshop) Manual. Operator's Instruction Manual. 35007059 UH172 HITACHI UH172 Crawler excavator. Spare Parts Catalog. Service (workshop) Manual. Operator's Instruction Manual. 35007060 UH181 HITACHI UH181 Crawler excavator. Spare Parts Catalog. Service (workshop) Manual. Operator's Instruction Manual. 35007061 UH261 HITACHI UH261 Crawler excavator. Spare Parts Catalog. Service (workshop) Manual. Operator's Instruction Manual. 35007062 UH501 HITACHI UH501 Crawler excavator. Spare Parts Catalog. Service (workshop) Manual. Operator's Instruction Manual. 35007063 UH801 HITACHI UH801 Crawler excavator. Spare Parts Catalog. Service (workshop) Manual. Operator's Instruction Manual.